We wrapped up our series on Renewable Natural Gas a few weeks ago – we hope it was informative. Continuing our exploration of alternative gaseous fuels for transportation, we turn this week to Liquefied Natural Gas (LNG). In a two-part series, we look first at the unique properties and behaviour of LNG and how it’s growing as a unique fuel for transportation, and then how to safely handle LNG at the fueling station and on the road in our trucks. Liquefied natural gas, or LNG, is fuel that’s playing an increasing role for a range of applications. Originally developed to efficiently store large amounts of natural gas as backup for electricity generation plants during times of very high (or “peak”) usage (called “peak shaving”), LNG’s flexibility has created a demand in transportation. 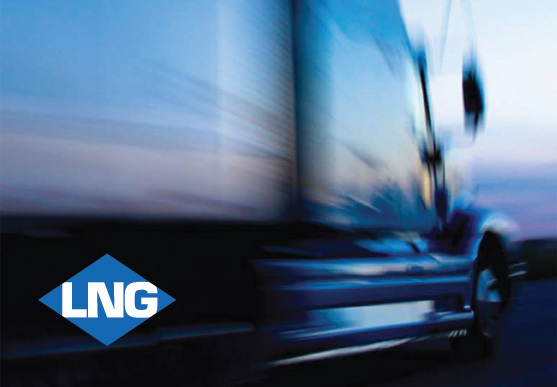 LNG is playing a key role in Westport’s product development, whether in on-road heavy-duty trucking or emerging rail, mining and marine applications. The key to LNG’s versatility lies in its energy density. The liquefaction of natural gas increases its density 600 times - converting 600 square feet of gas into one square foot of odorless and colorless liquid. The resulting liquid needs to be insulated to remain around –161.5° C, but doesn’t need to be kept under pressure. It can be quickly transferred from one vessel to another, enabling the fast refueling times that vehicle operators are accustomed to with traditional liquid fuels. Unlike compressed and pipeline gas, LNG can’t be odorized (the sulphur smell we recognise from natural gas ranges and ovens, and CNG in vehicles), and facilities and vehicles which handle it have methane-detectors as a safety measure. LNG is stored in double-walled, stainless steel tanks, with a vacuum between the layers which further insulates the chilled liquid from outside ambient temperatures. The vacuum space between tank walls also has insulating material injected into it to further insulate the LNG, which can remain chilled and liquid for up to seven to 10 days. The double-walled tanks provide a high degree of safety. LNG floats on top of water, and has a very narrow range of concentrations (a 5-15% mix with air) in which it can ignite. It also has a higher auto-ignition temperature (1,004oF/540oC) than diesel (600oF/315.5oC) or gasoline (495oF/257oC). As a result, LNG has a reduced risk of explosion compared to other liquid fuels. A spill of LNG, even if ignited, won’t catch fire but only burn around the evaporating edges of the pool. According to the Papua New Guinea LNG Project, since 1944 there have been only four fatal accidents involving LNG anywhere in the world. LNG is non-corrosive and non-toxic. Fuel suppliers and station operators across North America and around the world have committed to increase the use of LNG in heavy duty trucking. Shell has announced that is investing $300 million in partnership with Travel Centers of America to build up to 200 LNG pumps at 100 locations across the United States. Clean Energy in partnership with Flying J Travel Centers is creating what it calls “America’s Natural Gas Highway,” a national network of 150 stations in its first phase that will power interstate shipping and regional fleets working locally. In the European Union, the European Commission has announced the LNG Blue Corridors project to build 14 new fueling stations - adding to the 30 plus existing LNG stations – to complete a Europe-wide natural gas trucking network of at least one LNG station every 400km by 2020. These commitments by government and industry will boost the growth of the LNG transportation sector, bringing the economic and environmental advantages of natural gas to more truck fleets. In our next post, we’ll take a look at the safety and experience of fueling with LNG. For more information, please see our prior blog post on this announcement, Europe Paves the Way for LNG-Powered Transportation with Four New Blue Corridors. A nice good list of ideas here - going to give a lot of these a read.